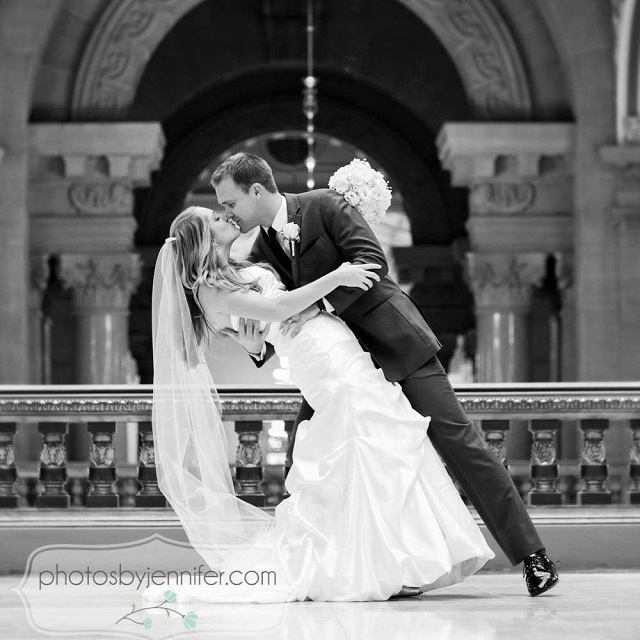 Megan & Chad’s wedding day was simply gorgeous, from their elegant ceremony at the Indiana State House through their fun reception at the Conrad Indianapolis. Having filmed Megan’s sister Katie’s wedding many years ago, I was really excited to get to work with this family again. After the couple’s first meeting in the stunning Kite suite and photos with Jennifer Driscoll, we headed to the State House for some more photos as well as the nuptials. The reception looked and amazing thanks in part to the uplighting by Event One DJs and linens by LGI Linens, and DJ Wes Adkins kept the dance floor packed throughout the evening.